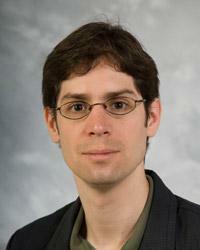 Mark Riedl is an associate professor in the College of Computing, School of Interactive Computing. As director of the Entertainment Intelligence Lab, Dr. Riedl's research focuses on the study of artificial intelligence and storytelling for entertainment (e.g., computer games). Narrative is a cognitive tool used by humans for communication, sense-making, entertainment, education, and training. Consequently, there is value in discovering new computational techniques that make computers better communicators, entertainers, and educators. The principle research question Dr. Riedl addresses through his research is: how can intelligent computational systems reason about and autonomously create engaging experiences for users of virtual worlds and computer games? Dr. Riedl earned a PhD degree in 2004 from North Carolina State University, where he innovated novel intelligent technologies for automatically generating stories and managing interactive user experiences in virtual worlds and computer games. From 2004 to 2007, Dr. Riedl was a research scientist at the University of Southern California Institute for Creative Technologies where he researched and developed interactive, adaptive training systems. Dr. Riedl joined the Georgia Tech College of Computing in 2007.